When You Know Whom Ask For Help! If you’re in high school or college, you’ve likely heard of the abbreviation GPA. This stands for grade point average. It’s one of the ways that students are evaluated in high school and college. GPA is definitely more important when you’re in college, but you should pay some attention to it earlier on. You might be wondering why your GPA is important and what you will use it for. In short, your GPA shows your university and your potential employers how well or how poorly you’re working. A low GPA reflects low motivation and little success. On the other hand, a high GPA can show that you are a hard worker and that you’re successful. When you are in college, you will be able to see both your semester GPA and your cumulative GPA. At the end of every semester, your GPA will reflect your performance for that semester alone. Additionally, it will be added to your cumulative GPA. 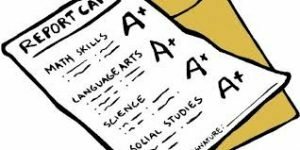 Your GPA is important for the following reasons and more! Future employers want to hire people who have a high GPA. When you have a high GPA, your future employer will be able to see that you can learn quickly and that you have a high level of achievement. This isn’t the only thing that they are going to look at, but it’s still important. Universities require a high GPA so that you can stay in school. Schools will sometimes set a minimum GPA requirement. If you fall below that requirement, you might be put on academic probation. The consequences will vary by school, but you could be forced to leave the school. Some scholarships require a minimum GPA. If you are receiving financial aid or have a scholarship of any type, you might be required to maintain a set GPA. If you let this drop, you’re at risk of losing your financial aid or your scholarship. Of course, you have to know what your GPA is in order to maintain it. You can’t raise it if you don’t know how high or low it actually is. There are a couple of methods that you can use to calculate your GPA. 1.Use an online GPA calculator. The best way to calculate your GPA is by using a GPA calculator. These are available for free online. You simply have to type in your letter grades from your courses along with the number of credits that each class is worth. This is the method that most people use. It will save you time and help to make sure that the calculation is done correctly. You will also be able to get instant results. It takes just a minute to type in all of the information. At most universities, students are assigned an academic advisor. These advisors can assist students in making school-related decisions and planning their schedules. In addition, your advisor should be able to show you how to calculate your GPA. There might be a tool available to them. Your GPA is also listed on your transcript, which your advisor should have access to. Some schools have online portals where you can access your grades and your GPA information. If you don’t have access to this or don’t know how to do it on your own, you should meet with your advisor. One downside to this is that you’ll have to find the time to meet. 3.Calculate your GPA by hand. This is the slowest method you can use for calculating your GPA. It still works, but the other options are much quicker. To begin, you should create a grading scale. You will assign each letter grade a corresponding number. For example, A = 4 points, B= 3 points, C= 2 points, D = 1 point, and F = 0 points. Then, you will write down your grades from your classes. Match those grades up to to the corresponding number on the scale. Add all of the numbers together and then divide that number by the number of classes you took. For example, if your total class points equal 16.5, you would divide that by the number of classes you took. If you took five classes, your GPA would be 3.3. By knowing your GPA, you can see if you need to do anything to fix it. It’s easier to raise your GPA early on instead of waiting until the last minute. You will be able to hire a tutor or get extra help from your professors if you know you need it. Knowing your GPA can also help you to set goals for future semesters. This entry was posted in Samples by oleg.berest. Bookmark the permalink.